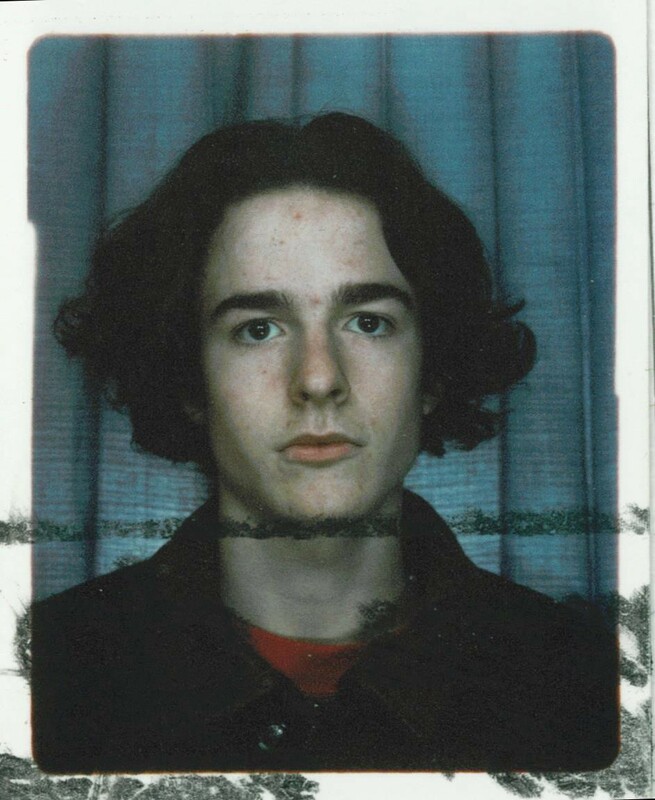 When I was 16, I performed relatively poorly in my GCSE exams, exams which every kid in the UK takes. Having missed most of my classes, and barely studied, I received a D in math and an F for French (which I think is funny). I’m a little embarrassed to even write about this, and I’ll try to redeem myself by letting you know that four of my nine grades were C: for physics, biology, English language, and English literature. Any small success I had was basically down to luck, and it was terrifying to take those exams with no preparation. It’s only in the last few years that I stopped having nightmares about it. This is when I hit rock-bottom, a pivot point at which I decided to turn my life around. 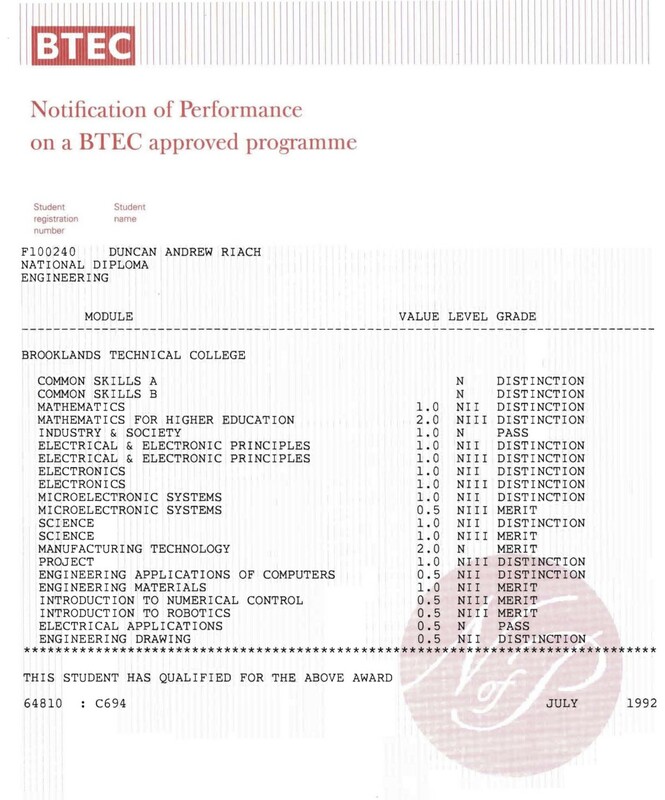 I studied hard until I was 18, got into a relatively good “red-brick” university (the University of Reading, pronounced “redding”), and ended up with a first-class honors degree in electronic engineering. I also went on to get a master’s degree in electrical engineering from Stanford, one of the top universities in the world, and to become a world-class computer processor designer and architect. I’m the inventor of at least ten patents in the field. All of this is not to brag (well, maybe a little), but to show how significantly I was able to turn my life around, and so qualify what I am about to write next: persistence is the most important skill that you can acquire. Now I’ll explain why. By the time I was 16, the headmaster (principal) of my school had decided, because I had been performing so poorly, that I did not have an academic temperament. In fact, as I later proved, the problems were unrelated to my ability to handle academic subjects; they were emotional and social. Because of this, he recommended that I go to a technical college, and study for a vocational qualification. I went to Brooklands Technical College in Weybridge, and I studied (trained) to get a B.Tech National Diploma in engineering. I’m so grateful that I took this unusual path. I learned to solder electronic components to boards and to weld pieces of metal together using both oxygen-acetyline and electric arc. I learned to use machine tools to turn, drill, and mill blocks of metal into useful things. I programmed computer-controlled milling machines to repeatably carve precise shapes out of metal. I learned to run high-level programs on a mainframe, and also to program micro-controllers in low-level assembly language. 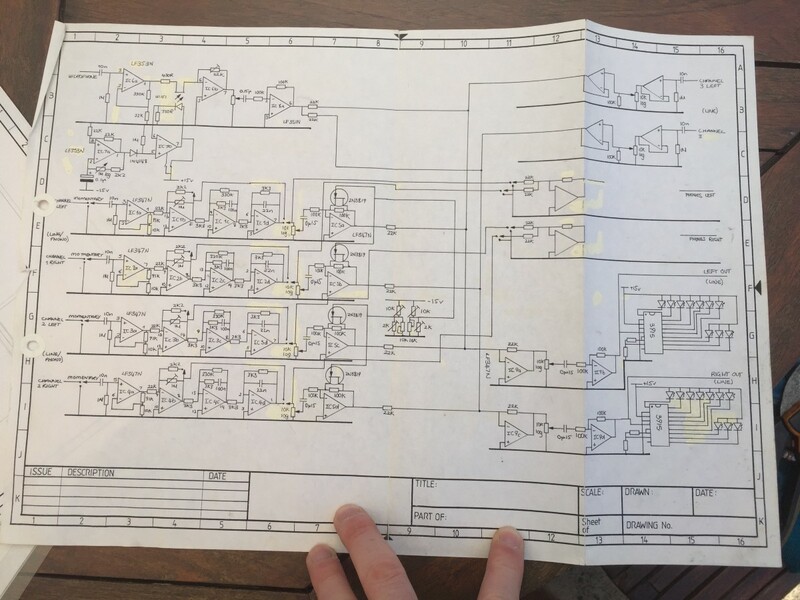 For my final project, at 18, I designed and built an analog audio mixer, including custom-etched printed circuit boards and a custom case. Even though I went on to become a Chartered Engineer, I started with the training of a technician. I’m very grateful to the college and to my teachers there, and also to my headmaster for sending me down the “wrong” path. The one that I feel the most gratitude for was my math teacher. I haven’t been able to find her name in my records. She had a very strong Northern accent, and would pronounce syllabus as “silly boose.” She started out by defining terms clearly. I remember her writing on the blackboard that she used the abbreviation “+ve” to mean positive and “-ve” to mean negative. She was an extraordinary teacher, and took the time to slow down and explain things carefully. She made sure that her students understood thoroughly before moving on, and she was clearly very interested in what she was teaching. She was very motivational, warm, and understanding. If you know her name or can put me in contact with her, please let me know. She re-taught me everything I needed to know in math, up to and including what I would need in undergraduate level engineering at university, especially calculus. It was really hard at the beginning. I understood so little, and I felt totally incompetent. But this is where the persistence paid off. I bought thick books of engineering math problems, and I worked through the problems one-by-one. Sometimes I stayed up all night solving these math problems. I discovered that as my competence increased, my confidence also increased, and so did my natural excitement about math. The more excited I got, the more effortlessly I applied myself to practice. I got distinctions in my math subjects, and mostly distinctions for all the other subjects on my course. I also went back and took my math GCSE, with absolutely no revision, and I got a B. I didn’t get an A only because there were some topics on the exam that I had never spent any time on; I think that set theory was one of those topics. This is the nature of mastery: the better we get, the better we’re able to get. To practice something intensely, we have to be passionate about it. To be passionate about something, we need to have some level of competence or mastery. This means that we always start out as beginners in a catch-22 situation. It’s hard to be motivated to apply ourselves fully when we’re so incompetent, but we can’t get competent and benefit from natural, intrinsic motivation, until we have developed some level of competence. The saving grace is wisdom. I know, from long experience, that if I want to get good at anything, I have to decide, with a strong determination, to apply myself to developing a seed of mastery in it. Once that seed has started to sprout, I know that I will become increasingly naturally engaged with the subject or skill. You may already know this from your own experience, and perhaps reading about it here will give you more confidence to act on that wisdom. Or perhaps this is a new idea for you, and now you’re getting to learn from all of what I’ve been through, without having to perform as many life experiments. Speaking of math, this seems to be the principle that automatically underlies the superiority of Asian children in math. According to Matthew Syed in the book Bounce, Asian children have an automatic advantage in math that is baked into the languages they speak. In most Asian languages, spoken numbers are composed simply, as in three-hundred-one-ten-four (for 314), compared with three-hundred-and-fourteen in English. Also, all the numbers from zero to nine in most Asian languages are represented by one syllable each. English has seven (two syllables), plus all the other anomalous number words like eleven, twelve, seventeen, twenty, ninety, etc, plus multi-syllable words like hundred, thousand, and million. In Mandarin Chinese, 314 is sān bǎi yī shí sì (written as 三百一十四; five syllables; three hundred, one ten, four) This language simplicity translates into easy mental arithmetic for small children, which quickly gives them a higher base confidence and competence with math than comparably-aged non-Asian children. That competence and confidence feeds a cascade of growing mastery in math. Rather than sitting around waiting to die so that we can be reincarnated as Asian children, we can proactively bootstrap the process of learning and mastery any time we want. We can use the planning and abstract thinking faculties of our highly evolved neocortices to trick our less evolved parts, such as our important emotional system, into coming along with us on the path to mastery. You can do this at any age, from sixteen to sixty. Here are some tricks you can use to bootstrap mastery. I’m pretty good at writing now, and I’m getting better. I practice every day from around 6:30 am until roughly 8:00 am. I get up and I practice during that time. I also produce a lot of high quality content in that time. It’s easy for me to do this now, because I have a lot of competence, and I find it extremely enjoyable to write. I know it would have been even easier for me to get here quickly if I had followed a schedule like this earlier. There are also several subjects that I am studying, including quantum physics and deep learning (which is related to artificial intelligence). My time to focus on these subjects is when I get home from work. The first thing I do is watch a lecture, or read part of a book, or do some coding. I increasingly look forward to that time every day. Setting a lower limit on the amount of time you will spend on mastering a given skill helps you to quickly bootstrap enough competence that it will become self-sustaining. As some point, you will no longer be able to stop yourself from practicing, and sometimes you will have to force yourself to stop practicing. To begin with, however, a big part of bootstrapping is to decide on a minimum amount of time, and then stick to it. I recommend using my life bootstrapping system to help with this. One of the challenges with this is figuring out how to keep going for the set amount of time. A classic example is with writing, where people get stuck and don’t know what to write. To release any form of creative blockage like this, I recommend doing morning pages, as taught by Julia Cameron in her book The Artist’s Way. This involves writing out (reporting) your stream-of-consciousness for a set period of time, and without stopping. If you’re stuck then you write about being stuck. If you hate morning pages, then you write about hating morning pages. Morning pages is a generic way of unblocking creative flow. In general, if you’re struggling with how to keep going with any project, then you have to trust that there is some way forward, and spend effort and time looking for it. That effort and time is actually part of the process of moving towards mastery in your chosen area. Learn to notice and appreciate micro-mastery. These are tiny little things that you achieve which are like bricks in a building. You might read a chapter in a book and realize that you thoroughly applied yourself to understanding it, and so you managed to understand more of it than you had expected. You might construct a particularly skillful sentence about sentience and then celebrate your cerebrum with alternating alliteration. You might persist in practice through a challenging period, or achieve one tiny part of a skill, even if you then seemed to have “lost” it again (it’s always there, getting stronger). The more you focus on what is working, and on what you appreciate, the more of it you will have. Find the mastery you already have, and enjoy and appreciate it. Your positive attitude towards that seed of mastery will nourish it and it will grow, blossom, and transform into full-blown, world-class mastery. Many processes in the natural world follow an exponential growth trajectory, and learning and mastery seem to as well. This is probably because at each stage future development is informed by all previous development. So the amount that you learn on day ten will not be the same as the amount you learned on day one, it will be more. Also, in the early stages of learning a new skill, the gains are often not large enough to produce clearly visible results. You might just be beginning to understand a concept, and, though you cannot even articulate it to yourself, that piece of learning will form part of the foundation upon which all of your future development rests. This kind of tiny but exponential early growth, growth that is hard to even perceive, is the foundation of mastery. This is the growth that we need to trust is there, and continue to develop and build upon until it unexpectedly pops into visibility one day. Just knowing about this is going to help you to persist. Intrinsic motivation is a desire to perform an action simply because it is enjoyable. Most actions lead to desired or undesired outcomes, and we can be motivated to perform actions in an attempt to obtain a desired outcome or to prevent an undesired outcome. However, the most satisfying way to live life is to enjoy the process from moment-to-moment. This is another way of saying that the ultimate goal of life is to focus on the process, and not on the outcome. This is the root teaching of many spiritual traditions, including, most clearly, the Bhagavad Gita: “You have the right to work only, but never to its fruits. Let not the fruits of action be your motive, nor let your attachment be to inaction.” This is often considered to apply to meditation practice, but it applies to everything. This is generic wisdom, capturing a fundamental principle of life. The only thing we have is the present moment, and all of our power lies in where we direct our attention right now. It turns out that mastery is characterized by this process orientation. Anyone who is world-class at anything is 100% focused on the process of what they are doing, while they are doing it. They don’t do it because they expect to get some positive outcome from doing it. They are in flow, and they are fully committed. They are motivated only by the deep joy of merging and becoming one with the object of their mastery, whether that is the sensation of the breath in their nostrils, or the feeling of the brush moving over the canvas. By practicing focusing on the process, and therefore turning the attention away from any anticipated end result, we not only commandeer all of our conscious attention and power, enabling it to be harnessed for the production of an optimal outcome, but we also maximize learning. In the process, we are bootstrapping the pathway to mastery by acting “as if” we are already masters. We engage with the process, at whatever level of mastery we have attained, as a master would. A master steps in and engages fully with whatever is present. A great example of this principle is Salman Khan, the creator of Khan Academy. He is a master teacher, perhaps one of the best in the world. It’s possible to see him in action just by watching one of his videos on a relatively simple subject. Notice how he fully engages with the topic with deep interest. He is demonstrating beginner’s mind. He is teaching by learning. He is re-teaching himself as he teaches. I’m sure that he became a master teacher by teaching himself before he taught others. Persistence is key. Keep persisting and refer back to this article to stay on track. If this article was helpful to you then give it some claps 👏. Follow me here on Medium. Responses welcome below. This article was republished on Business Insider.